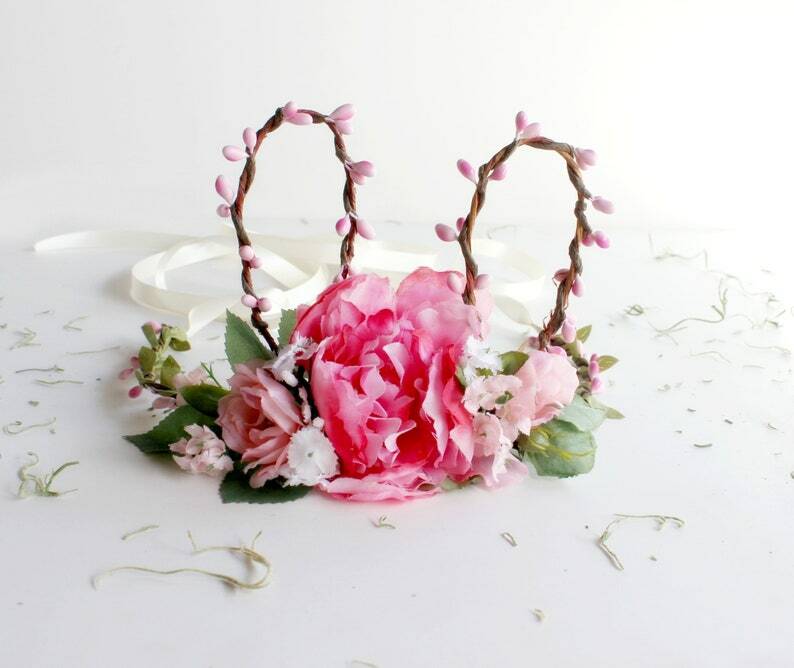 Full of happiness bunny ears floral crown made with rustic vine wire, adorable pink, hot pink and ivory blooms plus sweet pink twigs here and there. 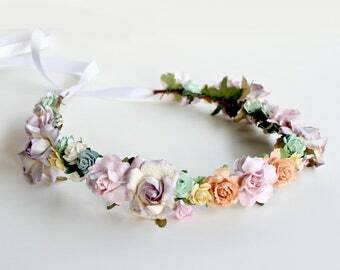 Unforgettable touch to a fairy princess, for Easter celebrations or just to add a touch of pretty. 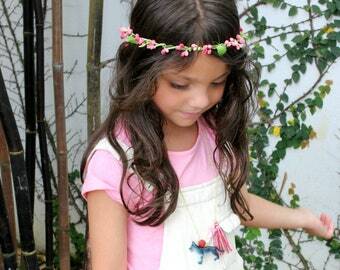 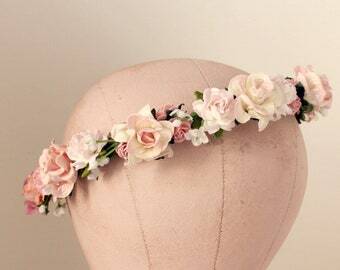 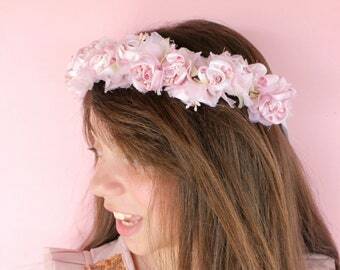 This floral crown is open on the back and has a pink ribbon to adjust to fit any size of the head.